Ipython and Vim is a great combination that make an IDE for Python. By default, the IPython will use Windows default editor (Notepad), when %edit command is invoked. 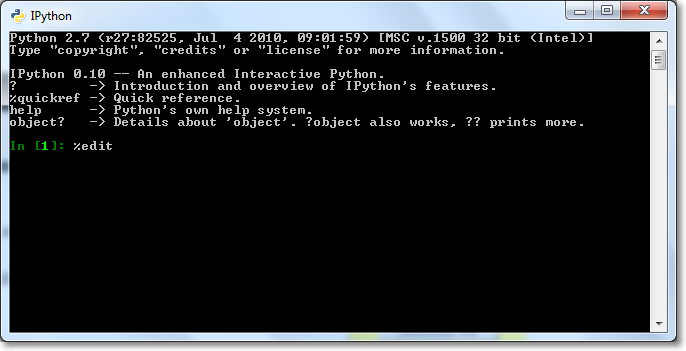 Open file ipythonrc.ini which is located at “C:Usersyour username_ipython” in Windows 7 with any editor. Search for line “editor 0”. if you prefer to use gVim. 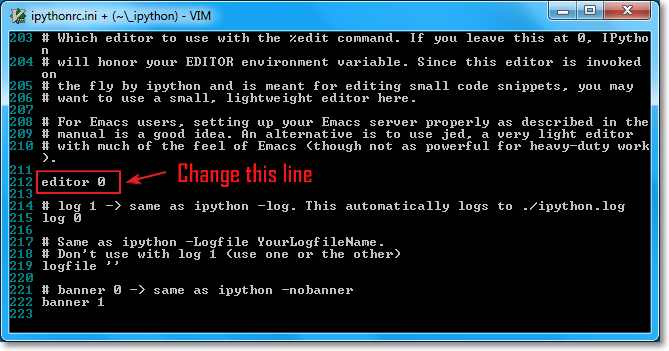 Restart IPython and type %edit to start Vim.